Sailing, an Olympic sport since 1900, has various competitive types that have been listed by the International Sailing Federation (ISAF) along with its non-competitive form, cruising. Fleet racing is the most common form of competitive sailing that involves racing boats going around a course. Fleet racing can be either ‘one-design’ or ‘handicap’. One-design boat racing, as at the Olympic Sailing Competition means that boats racing against each other are all the same – the same design, the same sail area etc. Handicap racing means different types of racing boat can compete against each other. Each boat has a handicap or rating so that their finish times can be adjusted or their start time determined so that the slowest boats go first. A match race consists of two identical racing boats competing against each other. This is a one-on-one duel of strategy and tactics and the objective is simple – to be the first to cross the finish line. 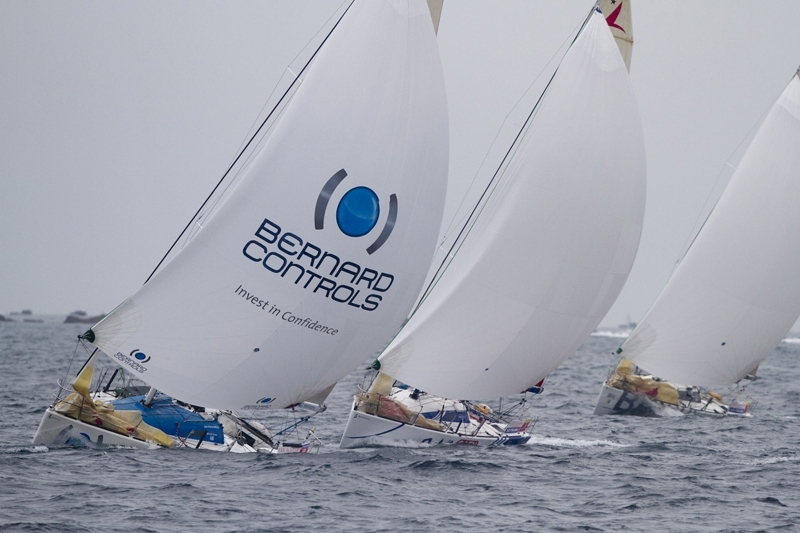 A match racing course is always a windward/leeward course and each race takes approximately 20 minutes to complete. Team racing typically consists of two sailing teams each of three racing boats competing against each other. It is a fast-paced racing style which depends on excellent boat handling skills and rapid tactical decision making. The sailing teams will race to try and achieve a winning combination of places – the lowest score wins. The scoring system is 1 for first place, 2 for second and so on. If one boat in the team wins the race they are not guaranteed glory as their combined score must be ten or less to win. Example: 2, 3, 5 = 10 points vs. 1, 4, 6 = 11 points. Oceanic racing is defined as any offshore race over 800 miles. 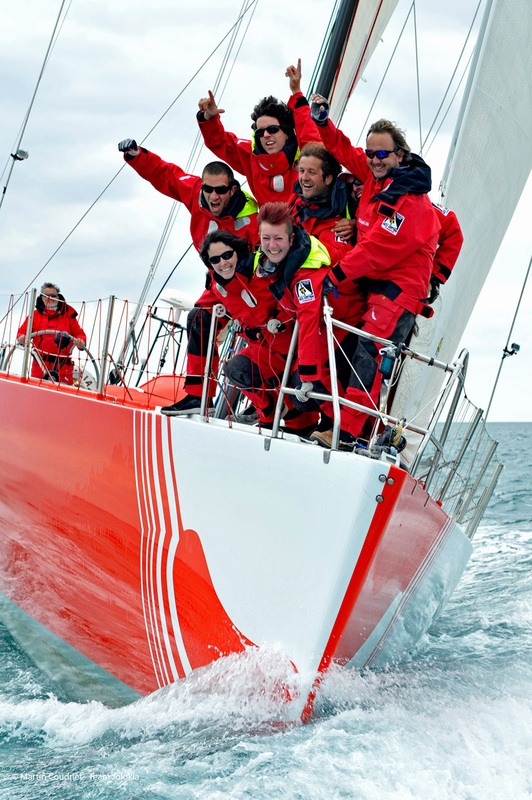 There are many types of Oceanic and Offshore racing events which are organized for one design classes as well as handicap or rating systems. The differences between the types of oceanic and offshore racing, ranging from trans-oceanic boat racing to short-course day races sailed in protected waters, are reflected in the six categories of the ISAF Offshore Special Regulations which provide for the differences in the minimum standards of safety and accommodation. The International Association for Disabled Sailing (IFDS) is an affiliate member of ISAF and responsible for disabled sailing worldwide. Almost any racing boat can be sailed by people with disabilities although it is clear that some are more suitable than others. Finally, cruising is arguably the most commonly enjoyed sailing discipline. Cruising can be a coastal day sail or a longer distance international journey crossing oceans and national borders. ISAF works with organizations such as the International Maritime Organization (IMO) and the International Organization for Standardization (ISO) to represent the interests of sailors worldwide. Fabrice Levet is a sonar boat coach at the French national school of sailing. Here, he recounts his team’s exciting win at the World Paralympic Championship 2013, which took place in August. It is Friday, August 16th, 2013 and there is unrest in the hangars of the national school of sailing and water sports! The French Paralympic Team has met to load up the equipment needed for the trip to Ireland. Our exact destination is the coastal town of Kinsale, which hosted the World Paralympic Championship 2013: The highlight of the sailing season. After poring over the local newspapers and website articles about the event, we realized that we were hardly mentioned! There is a lot of coverage of the Dutch team, who are Olympic champions, and the Norwegians who are the current titleholders, but not a line about the French boat. There will be eighteen sonar boats on the water in total. However, the French sailors Bruno Jourdren, Eric Flageul and Nicolas Vimont- Vicary have won two of the most important pre-season regattas – in Hyères and Medemblick. Regardless, the training at ENVSN took the form of Match Racing, the West Spinnaker and the Grand Prix of the longtze naval school. The “Mondial Caravelle” was won this year by Bruno even though he was up against tough competitors such as Michel Desjoyeaux and Armel Le Clea’ch. This illustrates the amount of work and level of motivation of the crew to win this event after a disappointing London Games (coming in at 4th place) . At Roscoff, we were the first to get on the ferry … and the first ones out at Cork! All sailors are a little superstitious, so we noted this fact with a smile. In bright (and unexpected!) sunshine, the preparations began (we were first to start practising!) within the walls of the prestigious Yacht Club of Kinsale. The anticyclone that had swept across the Atlantic coast this summer had returned. The week appeared atypical for the Irish Sea: it was an average of ten knots with a sea breeze . On Monday, August 26th, when arriving at the club, we had a preview of what was ahead. This was a true Swiss lake bordering the southern Irish coast. We would have to wait until the next day to get sailing! The sonar-boat French team enjoyed a strong start, and from the very first day the crew seized ahead of the crowd with places 1/5/2. A good start, insight and speed – the ingredients for a win, but there was still direct competition on our heels, namely the Australians and Norwegians. There was to be no fast racing the next day for the same reasons as the first: a lack of wind. 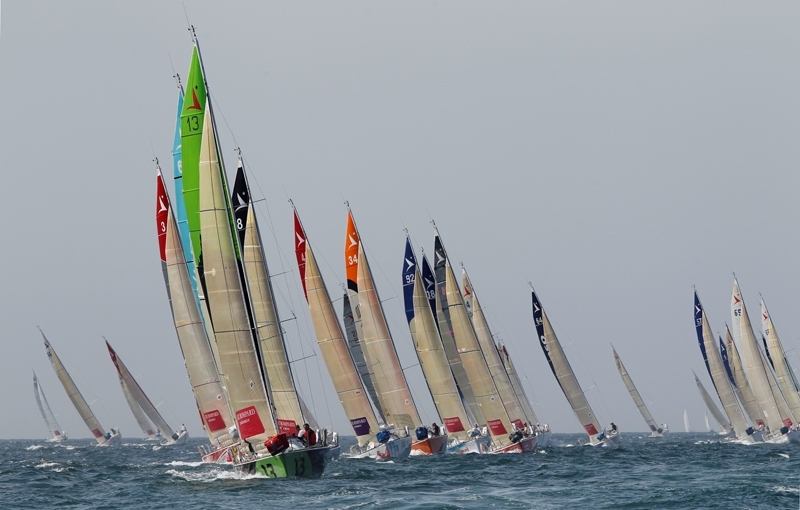 Between ten and fourteen knots of wind awaited racers on the Thursday. The conditions were quite complicated with a constant struggle between different air fronts, leading to the constant threat of lightning on the water. Bruno and his team managed to use their analysis to help them practically and achieved almost flawless results with 1/1/2. Starting the final day, they were 11 points in the lead and ready to attack for the last day of this world championship. It looked very good but everyone remained quiet and concentrated. Finally some wind! Twenty knots that morning with a sea mist, the typical Irish postcard picture. With a second place in the first race, we were closing in on the title. Only the Dutch could still cause an upset for us. The outright winner was determined shortly afterwards with a close finish like a race is supposed to be, France finished 4th and the Netherlands 6th. It’s official – we are the world champions! The crew wanted to do well in the last race … and won. 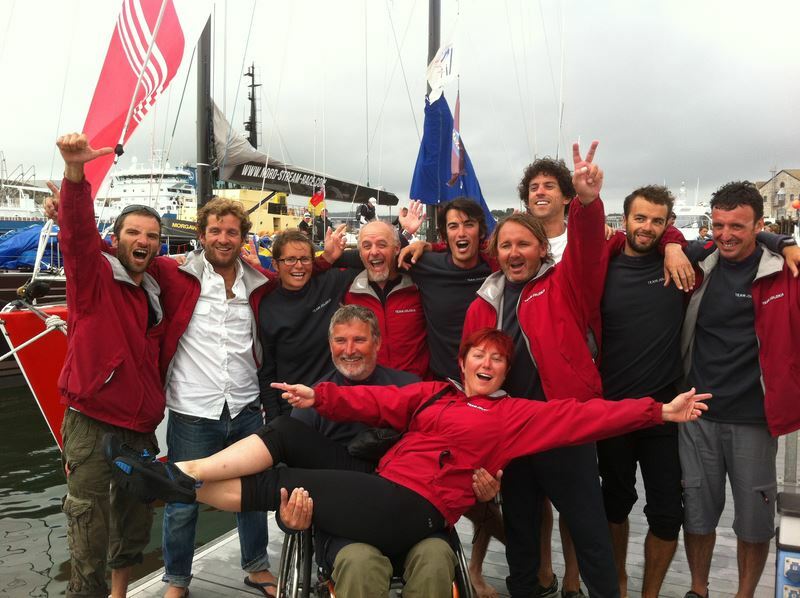 Team France finished 13 points ahead of the Netherlands who came in in second place and Australia were third. It is clear to see that even though everything ended well, it was of course, more difficult than we had expected. La 42ème édition de La Solitaire du Figaro réunissait un plateau comprenant des navigateurs confirmés mais aussi de nouvelles figures montantes de la course au large. Avec 3 victoires d’étape, Jérémie Beyou (BPI) s’est brillamment imposé devant le jeune Fabien Delahaye (Port de Caen Ouistreham) et Erwan Tabarly (Nacarat). Avec 6 skippers étrangers, La Solitaire du Figaro Eric Bompard Cachemire s’ouvre un peu plus tous les ans vers l’international. Pendant plus d’un mois, les 47 concurrents ont retenu l’attention du grand public, des médias francophones et internationaux.